At the northern tip of the Lac d' Annecy, bounded to the east by the peaks of La Tournette and to the west by the wooded ridge of Le Semnoz, Annecy is one of the most popular resort destinations in the French Alps. 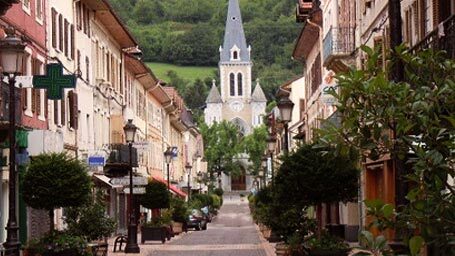 The town is situated in the South-Eastern France; in the Haute-Savoie department in the Rhône-Alpes region, near Geneva in Switzerland. The site is located at an altitude of 418 to 926m. Around Annecy are the mountains Veyrier, Semnoz, Tournette and Parmelan. 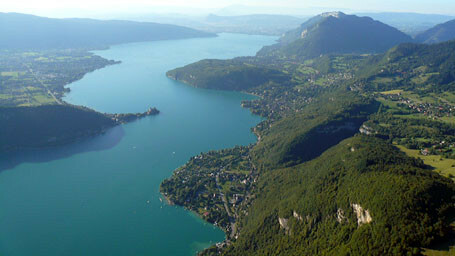 But the main natural gift in the region is the Lake of Annecy; magic among the mountains. 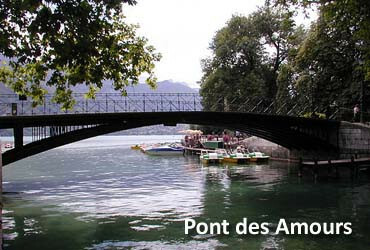 Thiou River flows out of the northernmost edge of the lake through the city of Annecy. A little further joins the Fier River and finally goes to Rhône River. 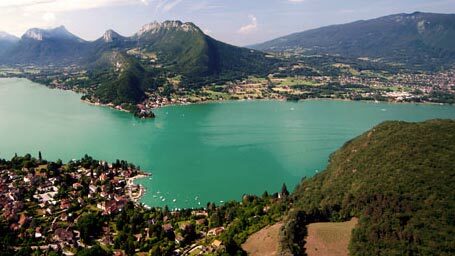 Around the lake are towns and villages; apart from Annecy, are Annecy-le-Vieux, Doussard, Duingt, Lathuile, Menthon-Saint-Bernand, Saint-Jorioz Sevrier, Talloires, Veyrier-du-Lac. Lake Annecy (Lac d'Annecy) is the second largest lake of glacial origin in France; is known as “Europe’s cleanest lake”; strict environmental regulations for its protection were adopted in the 1960s. The lake is located at an altitude of 446.5m, formed about 18,000 years ago, at the time the large alpine glaciers melted. It is 14.6 km long from north to south, and has a surface area of 27 sq km consisting of two basins. The northern main basin with a length of 9.8 km and a width of 3.1 km is about 78% of the whole area of the lake; the rest 22% is the southern sub basin with a length of 4.8 km and a width of 1.5 km. The shoreline has a length of 35 km, and the maximum depth is at 64.7 m.
Many small rivers from the surrounding mountains contribute of inflowing water to the lake; among them three main tributary rivers; Eau Morte, which contributes 42%, Ire 15% and Borette 7%. The lake is also fed by an underwater source, the Boubioz, at a depth of 82 m.
Annecy came to the fore in the 13th century when it became the capital of the Count of Geneva. 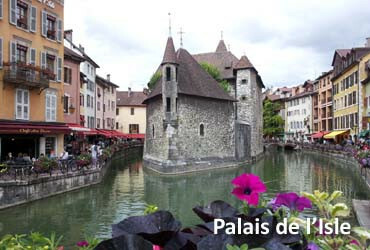 In the 15th century it became the capital of an attached territory of the House of Savoie. 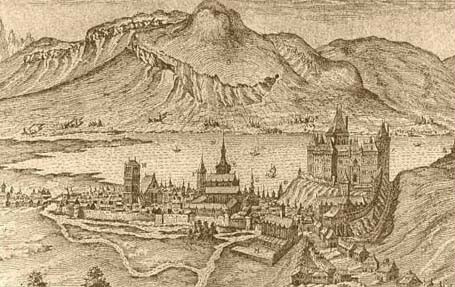 In 1535, after the Protestant Reformation, the Bishop of Geneva settled in the town and a new brilliant period started. But the history of the area begins much earlier. 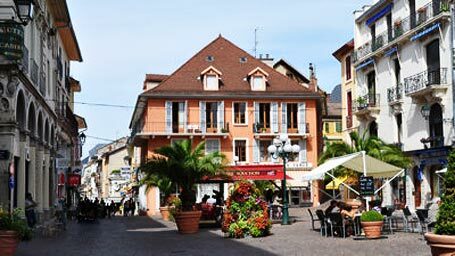 Annecy is considered as one of the oldest inhabited sites in the Northern Alps. According to underwater archaeological excavations, a lakeside settlement has been found off the bank at Annecy-le-Vieux; it dates back to 3,100 BC. During the Gallo-Roman period a settlement of 2,000 inhabitants named Boutae developed rapidly in a town of which there are the forum, the temple and the theater; also the thermal baths which can be seen at 36 avenue des Romains. The town was important as the crossroads of the roads in three directions; to Faverges (Casuaria), Aix Les Bains (Aquae) and Geneva. The life of Boutae ended in the 6th century. The new occupation of the region began in the 12th century with the gradual establishment on the banks of Thiou at the mouth of the lake. The place had the advantage of allowing control over a significant part of the route from north to south, so it was quickly fortified. The medieval city began to be built on both sides of the Thiou River. It was the beginning of Annecy. 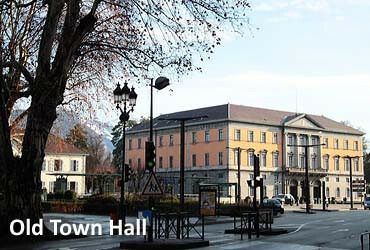 The town developed, but unexpectedly came to the fore when it became the residence of the Count of Geneva, expelled from the region's capital after disputes with the bishops. Then the castle was built and became the residence of the princes of the Geneva Family. Its last member was Robert of Geneva, who had become anti-Pope in Avignon under the name of Clement VII and died in 1394. In 1401, Annecy became Savoyarde as the County of Geneva passed in the State of Savoy (Savoie) under its most famous ruler, Amadeus VIII, the first Duke of Savoie. The former capital of the county entered into a period of decline marked by terrible fires that destroyed much of the city. Amadeus VIII reconstructed the town and the castle and in 1444 created the territory of Geneva for his son Philippe. 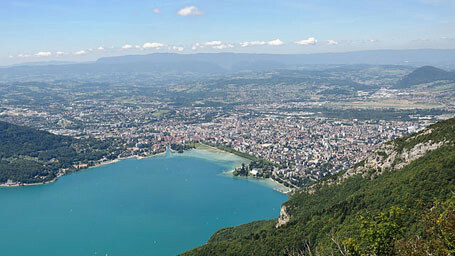 Annecy became again the capital of a county including the districts of Geneva, Faucigny and Beaufort. In this period there was another important event. Annecy became a bishopric when in 1535, after the Protestant Reformation, the Bishop of Geneva came followed by several religious communities. 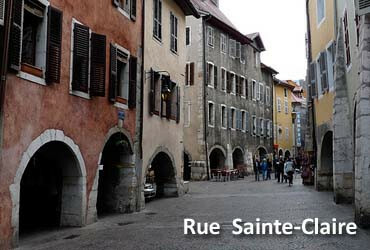 Annecy became an important religious centre; some historians called it “The Rome of Savoie”. This period – which became more brilliant with the life and work of Francis de Sales, Bishop of Geneva, honored as a saint by the Roman Catholic Church – is considered as a golden age of the city as can been seen today in some monuments such as the Nemours Lodge, the St Peter’s Cathedral, the Lambert House, the bell-tower of the Note Dame de Liesse. Annecy is the birthplace of Francis de Sales. He was born on August 21, 1567 in the Chateau de Sales into the noble de Sales family. His father was François de Sales, Lord of Boisy, Sales and Novel. Francis de Sales was the founder and first provost of the Oratory at Thonon-les-Bains. In 1602 he became Bishop of Geneva. Along with St. Jane Frances de Chantal, founded the women's Order of the Visitation of Holy Mary (Visitandines) in Annecy. He died on 22 December, 1622. In 1661 was beatified by Pope Alexander VII, who canonized him four years later. The Roman Catholic Church celebrates St. Francis de Sales' feast on the 24 January, the day of his burial in Annecy in 1624. 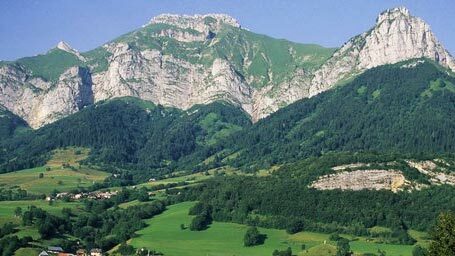 In 1792 Savoie was occupied by the French Revolutionary Army. Sites vacated by the clergy were used for the industrial production and the town experienced a significant economic growth with the help of the hydraulic force of the Thiou. Very important was also the city plan designed in 1794 by Thomas-Dominique Ruphy, which provided a wide rectilinear road to the main traffic routes so that traffic was diverted from the historic city center. Since 1815 the town was under the Kingdom of Piedmont-Sardinia. In 1860 France bought Savoie from Piedmont. The industrial development got in the way of success based on a project for hydropower realized in the late 19th century. 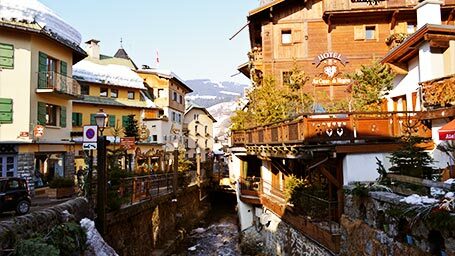 But by mid-century, the new sensitivity for Alpine regions opened the area to the new fashion for tourism. More and more visitors began to visit the area and the lake. There are so many sights to be seen in Annecy! A big attraction is the city itself with its historic medieval center. 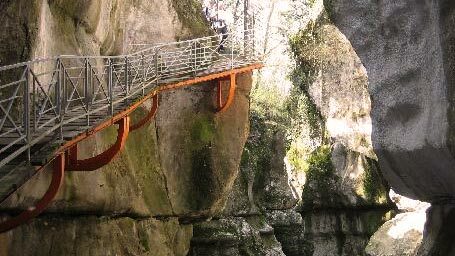 Another big attraction is the lake and the landscapes of the surrounding alpine region. But there are the specific sites as the castle, the canals and the important buildings. The Annecy Castle (Château d'Annecy), built from the 12th to 16th century, on a hill overlooking the city and the surrounding area. The town acquired the Castle in 1953 and restored it with the help of “Historical Monuments”. 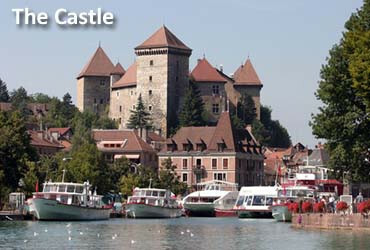 The restored castle houses host the Art and History Conservatory of Annecy and the Regional Office of the Alpine Lakes. In the Art and History Conservatory apart from the organized exhibitions, we can see the General Chastel’s collection with paintings from the 17th and 18th centuries, and the Payot collection with works representing Mont-Blanc. The Island’s Palace (Palais de l’Isle), built the 12th century; also called the "old prison". Situated on an island between two canals is the symbol of the town. 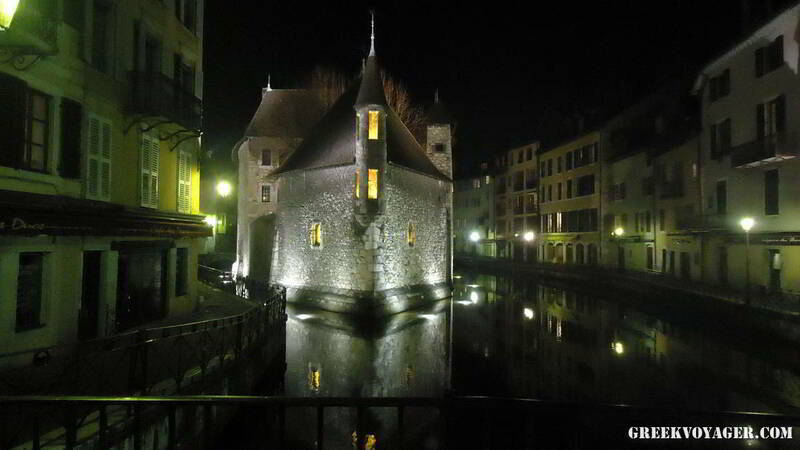 It was the residence of the lords of Annecy from the 12th century. 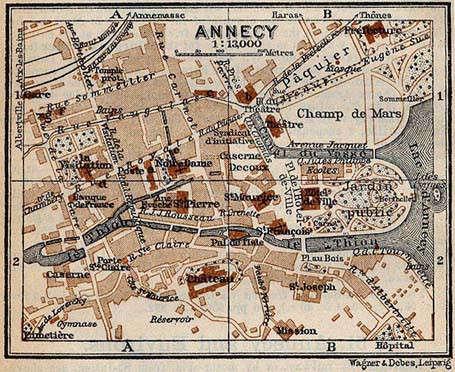 When the counts of Geneva came to Annecy became an administrative center. It was used as a prison from the middle Ages until 1865. Museum from 1952, today it houses the Centre for Interpretation of Architecture and Heritage. It is one of the most photographed monuments in France. 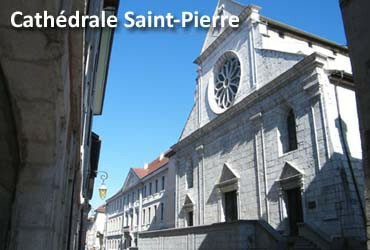 The St. Peter’s Cathedral (Cathédrale Saint-Pierre), built in the early 16th century as a Frankish friary; it was the Cathedral of Francis de Sales. Baroque pieces from the 16th century can be seen inside. 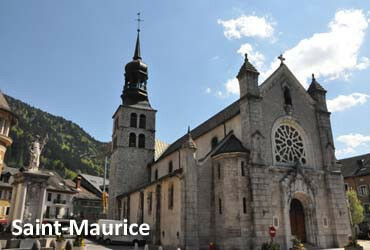 The Saint-Maurice Church, in a Gothic style of the 15th century; it houses interesting paintings from the 15th and 16th centuries. Chapels built in different parts by noble families or artisan corporations from 1478 and then form the lower sides. 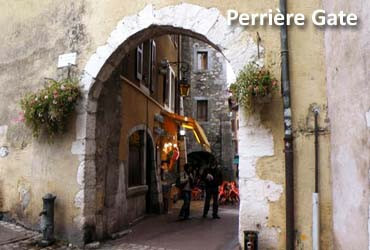 The Perrière Gate; connected to the castle, it was for centuries one of the principal entrances to the city. 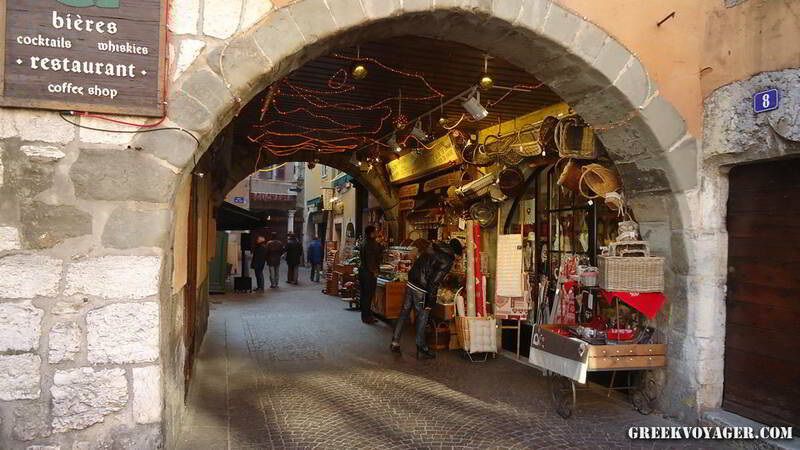 The Rue Sainte-Claire, which offers a nice walk under arches of the 17th and 18th centuries. The Rue Royale, with many shops, gardens and the fountain of Saint Jean. The Old Town Hall; remarkable is the 18th century façade. 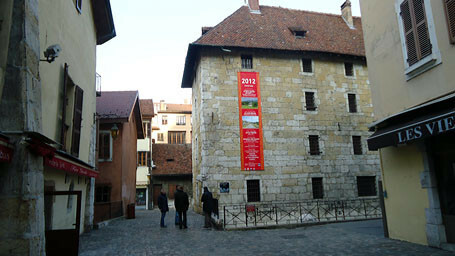 On the first floor we can see the arms of the City of Annecy. The Lover’s Bridge (Pont des Amours); iron architecture of the 20th century. 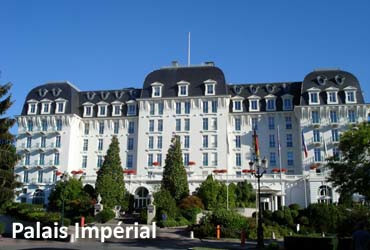 The Imperial Palace (Palais Impérial) inaugurated in 1913; with public gardens, beach and casino. 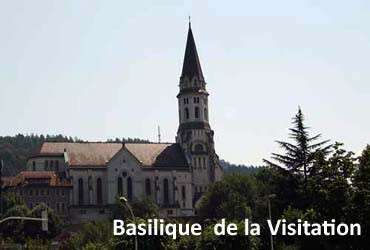 The Basilique de la Visitation, with the tomb of François de Sales and Jeanne de Chantal; built in the 20th century; magnificent view of the town. Venice of the Alps, the lake and the beauty of nature around them attract many visitors who have a lot to do depending on the season and weather. The walk through the medieval city is a real pleasure and the lake is a paradise for activities such as swimming, sailing or windsurfing. There is also increasing interest in scuba diving. The lake is home to about twenty species of fish to the delight of fishermen. Hiking is a real pleasure, too. Τhere is also the possibility for hang gliding above the lake from the Col de la Forclaz. And of course we can bike around the lake and in the mountains. 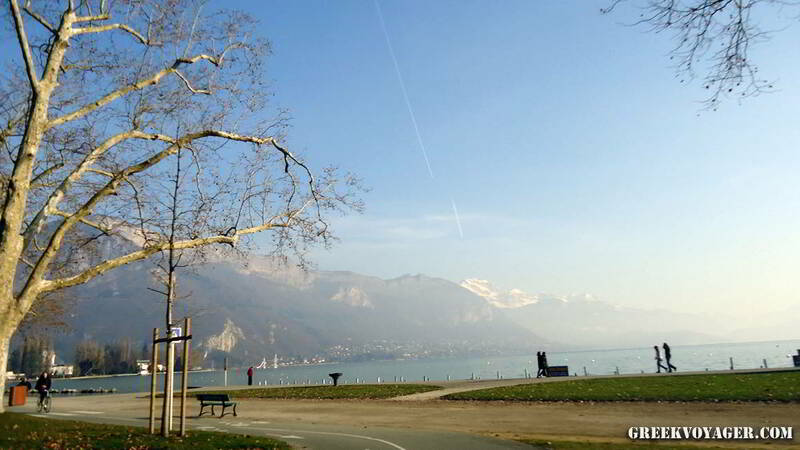 A cycle path along the shore of the lake covers a distance of 28 km. Free from traffic it is one of the most popular cycle routes in France. During our stay we can enjoy French cuisine and the local dishes; among them the famous la tartiflette, a reblochon cheese and potato bake; also famous are the local products, such as exactly the cheese le reblochon and les crozets, a kind of pasta. We can do our shopping in local artisan shops; there are many European chain boutiques, too. We only have to walk in the narrow stone-paved streets. 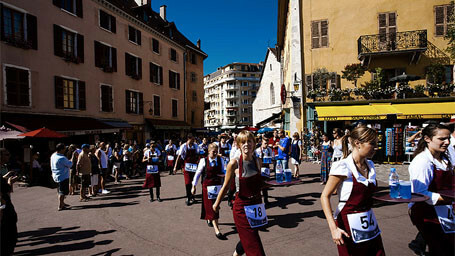 In Annecy various events are held from spring to autumn. In April a village festival takes place with rides and vendors, along with the great French cuisine. In June one of the biggest animation festivals is held; it lasts six days. In July a festival during the night lasts four nights. The first weekend of August the Lake Annecy Festival (la Fête du Lac d’Annecy) takes place with attractions around the lake. On the Saturday evening the lake becomes the stage of a great firework display, the biggest of its kind in Europe, as they say. It lasts eighty minutes and more than two hundred thousand spectators are around the lake to enjoy the spectacle accompanied by music, lights and special effects. 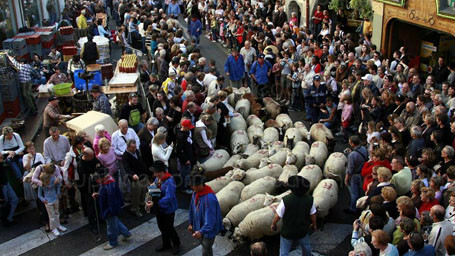 The second Saturday of October a traditional farmers’ festival is held called the “Return from Alpine Pastures” ("La Descente des Alpages"); with local music, food and entertainment. Do you know that ..
Lake Annecy is the second largest lake of glacial origin in France, known as "Europe's cleanest lake" because of the strict environmental regulations introduced in the 1960s. The lake, formed about 18,000 years ago, at the time the large alpine glaciers melted, is at an altitude of 446.5m. It is a popular tourist destination for swimming, water sports and biking around it. On the first Saturday in August the lake becomes the stage of a great firework display with thousands of spectators. The city of Annecy currently has 33 km of routes for bikes. 83 parking points for two-wheelers, equivalent to 1400 places have been set up near all places frequented by the public. Bikes can be used on cycle tracks and lanes, in bus lanes if they go in both directions, on roads and in pedestrian areas.